Top Rated. 5-Stars. 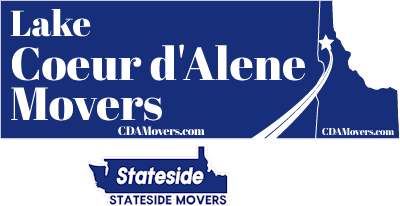 Serving Coolin with Professional Moving to or from Coeur d'Alene. Call Today. Free Quotes! Personalized, Five Star Service. Welcome to Lake Coeur d'Alene Movers. Successful local and long distance moves to or from Coolin, Idaho require the same things: expertise, professionalism and customer service focus. Your belongings should receive the same care in packing, loading, transportation and unloading no matter what the distance: no shortcuts. Today’s marketing rewards success with five-star reviews from satisfied customers and Lake Coeur d'Alene Movers / Stateside Movers LLC has worked hard to get theirs. Do you know how much of your household belongings are kept in closets, drawers, and cupboards? How about attics, basement and garage areas, not to mention if you rent an offsite storage space. Getting all this together to move to Coolin, Idaho or any other place is no easy task. We offer packing services hat work with you to order supplies and boxes, gather and safely pack all your property, and specially wrap and pack antiques and family treasures. Whether its glassware, sets of dishes, or pots and pans and the Cuisinart, our experts will pack and protect these so that they are ready to use at your new destination. Your clothes will be packed ready to wear, clean and fresh and all shoes will have left and right together, ready to wear. 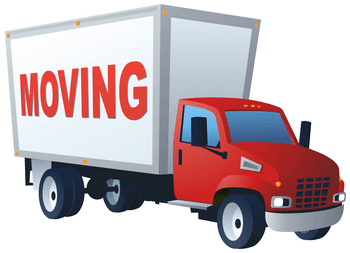 Local and long distance moving is best done by experts who will work for you and with you to get your possessions to a new place, like Coolin, and get you started living the dream. 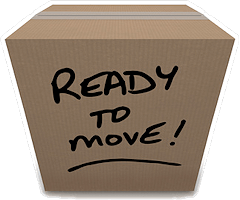 Five-star moving company Lake Coeur d'Alene Movers / Stateside Movers LLC is ready to help.